The hills of Horse Country are chalk full of fast horses, beautiful landscapes, legendary stud farms and maybe a bourbon distillery or two. Dr. Cynthia Bohn, owner of Equus Run winery and vineyard in Midway, is well-versed in the beauty of Horse Country. Here, she takes us through a few of her favorite sites. 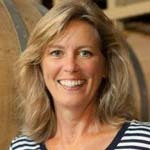 Dr. Cynthia Bohn has been instrumental in the rebirth of Kentucky’s wine industry after having spent 30 years at IBM as an electrical engineer, executive manager, international marketer and professor at the IBM Harvard Business Institute. She started the Kentucky Grape & Wine Council in the early 1980s, and went on to found Equus Run Vineyard, a vineyard and winery in Midway, in 1998. The vineyard is settled on 35 acres of beautiful Bluegrass land, and was voted by CNN Travel as a Must See Hidden Treasure of the United States. Dig into the hip, homegrown flavors of Lexington’s burgeoning dining scene. Know where to stay, eat, drink, play and shop in Lexington? Condé Nast does.